Two fun things, and they both have to do with tortilla chips. Perhaps this is because, as a taco fiend, I often have broken corn tortillas calling for rescue. Watermelon Pickle, well, the rind at least, the green skin carefully pared from the white pretty flavourless bulk that contains the precious sweet pink flesh. You’ve heard about it this pickle… you’ve wondered. You don’t see the point in vinegar really as you identify more as a fermenter. 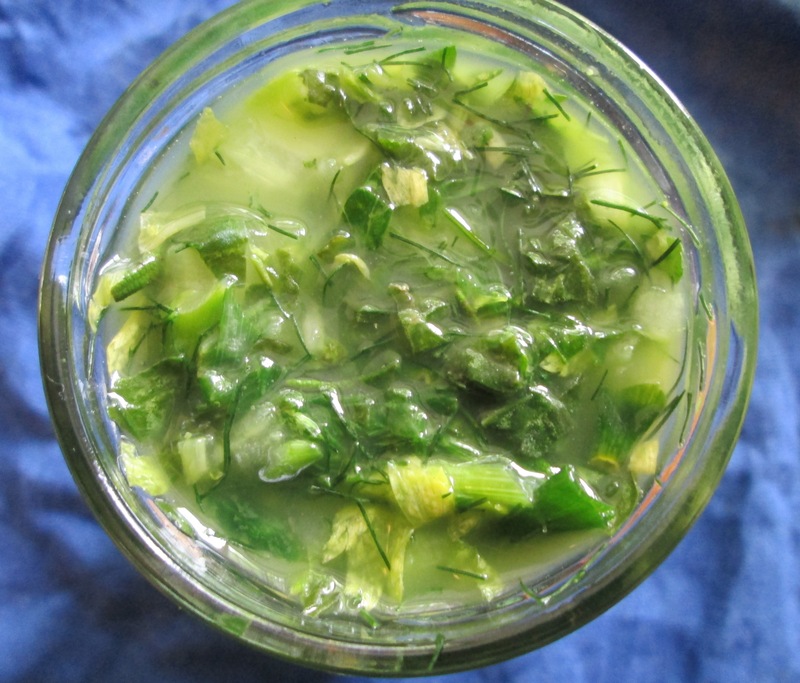 You look up fermented watermelon rind and find a recipe that suggests you make a brine. You kind of decide not to make a brine– there’s so much water itself in the watermelon. 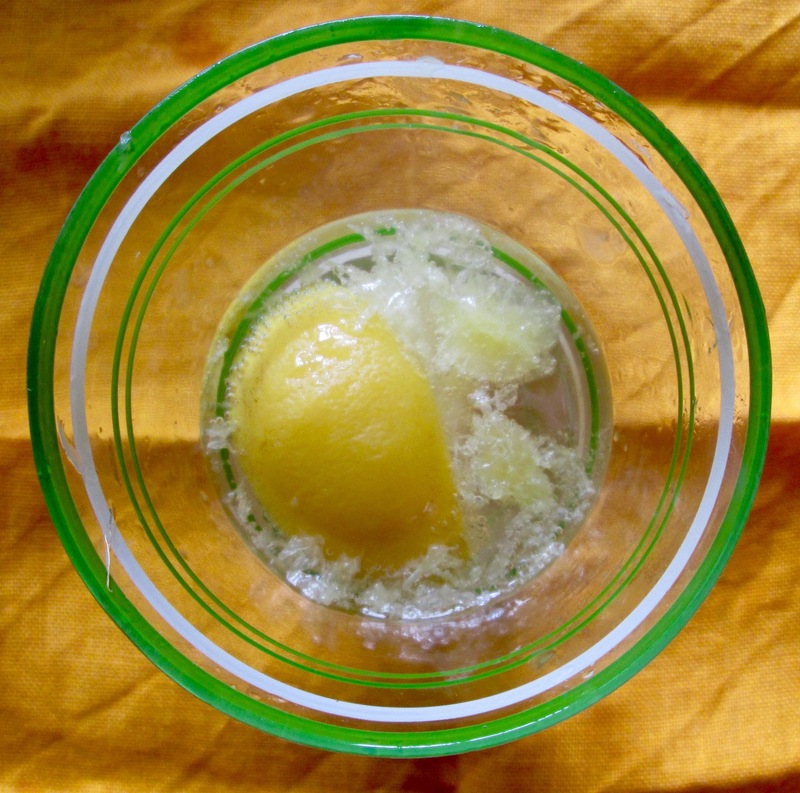 Instead you pack the pared rind that you’ve saved by insisting everyone puts them in a special bowl, and a teaspoon of sea salt, and you pack it down in a jar, and observe it getting wetter and wetter, creating it’s own layer of brine. It occurs to you to add some hot pepper, in this case a yellow jalapeño. This was a good idea but you could use any herb or spice or flavour as watermelon rind is really so very mild and passive. “Do with me what you will,” it said. You realise quickly it’s not going to keep a bite or crunch very easily, so you surrender. After several days you taste it, and you are like, wow, THIS is fermented watermelon rind pickle. Here we are, this is it. And you get the urge to chop it up with spring onions and the jalapeño, and loads of fresh coriander, and make a salsa. Had some rather pungent kimchi in the fridge which I dehydrated in a very low oven. It took a while…. Toss the broken pieces (or proper triangles) in the dried kimchi and oil and bake in the oven. I made two batches of each, one with nutritional yeast (for a cheesy note) and one without. Comments: These are really nice snacks, fun to make, serve and eat. They didn’t have that WHAM of Doritos, but maybe that’s not a bad thing. I might add extra chilli powder next time. A fun perk of blogging is requesting books I know I’m going to love, like Kimchi: Essential Recipes of the Korean Kitchen. Authors Im Kee Sun, Im Boo Mee Ja, Lim Byung-Soon and Lim Byung-Hi are a family of Korean women living in Stockholm where they run a much loved restaurant called Arirang. Short of dining there -though looking at photos in their book, how you’ll wish to! – you can buy this fantastic guide and create your own tantalising Kimchi, to eat as umami accompaniments or integrated into seasonal dishes including soups, pancakes, dumplings, cocktails (!) and more.